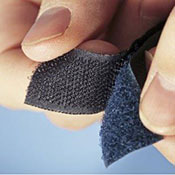 CRAQ-SPUN® AR TYPE II sewing threads comply with A-A-55217 for protective clothing. Maintain appearance and performance after multiple washings. 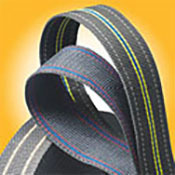 Atlantic Thread can also supply narrow tapes and bias bindings made of high performance fibers. 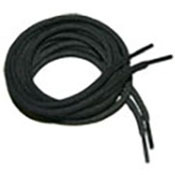 Atlantic Thread is a distributor of FR Hook and Loop. 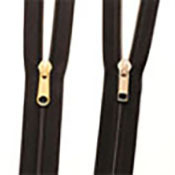 Atlantic Thread distributes slide fasteners made with NOMEX® tape in various lengths for protective apparel and other specialized applications. Standard inventory includes black tape and brass teeth. Atlantic Thread is a U.S. distributor of ROBUSO Proton® shears. 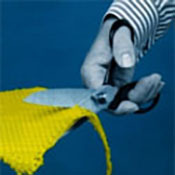 These "high-tech" shears are designed to produce improved cutting results with such "high-tech" materials as aramids (KEVLAR® and TWARON®), DYNEEMA®, SPECTRA®, glass and carbon fiber fabrics. ROBUSO Proton® shears have proven their value on the production floor by delivering customer satisfaction. 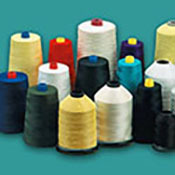 CRAQ-SPUN® AR is a registered trademark of Atlantic Thread & Supply Company, Inc.
SPECTRA® brand fiber is a registered trademark of Honeywell International Inc.